On January 5, 1845, the Prussian cultural minister received a request by a group of six young men to form a new Physical Society in Berlin. In fields from thermodynamics, mechanics, and electromagnetism to animal electricity, ophthalmology, and psychophysics, members of this small but growing group—which soon included Emil Du Bois-Reymond, Ernst Brücke, Werner Siemens, and Hermann von Helmholtz—established leading positions in what only thirty years later had become a new landscape of natural science. How was this possible? How could a bunch of twenty-somethings succeed in seizing the future? In Aesthetics, Industry, and Science M. Norton Wise answers these questions not simply from a technical perspective of theories and practices but with a broader cultural view of what was happening in Berlin at the time. He emphasizes in particular how rapid industrial development, military modernization, and the neoclassical aesthetics of contemporary art informed the ways in which these young men thought. Wise argues that aesthetic sensibility and material aspiration in this period were intimately linked, and he uses these two themes for a final reappraisal of Helmholtz’s early work. Anyone interested in modern German cultural history, or the history of nineteenth-century German science, will be drawn to this landmark book. "A rich, wonderfully readable account of the importance of the early-19th-century Berlin Physical Society. . . . A short review cannot do justice to the myriad ideas Wise suggests to account for the fecund developments in industrial design, neoclassic aesthetics, architecture, and friendships among various civilian and military protagonists, including Gerhard von Scharnhorst, Karl Schinkel, Alexander and Wilhelm von Humboldt, and many more. The author details the variety of military and building academies, museums and their missions, and the publications that issued from these institutions. The beauty of Wise’s account is the breadth of coverage, with topics from science, art, pedagogy, industry, architecture, and design woven flawlessly together. Drawing on a varied set of archival, primary, and secondary references, this work will be of great benefit to advanced students. . . . Highly recommended." "Aesthetics, Industry, and Science is a brilliant, multi-faceted reframing of the emergence of modern Germany as a scientific, industrial, and military power. 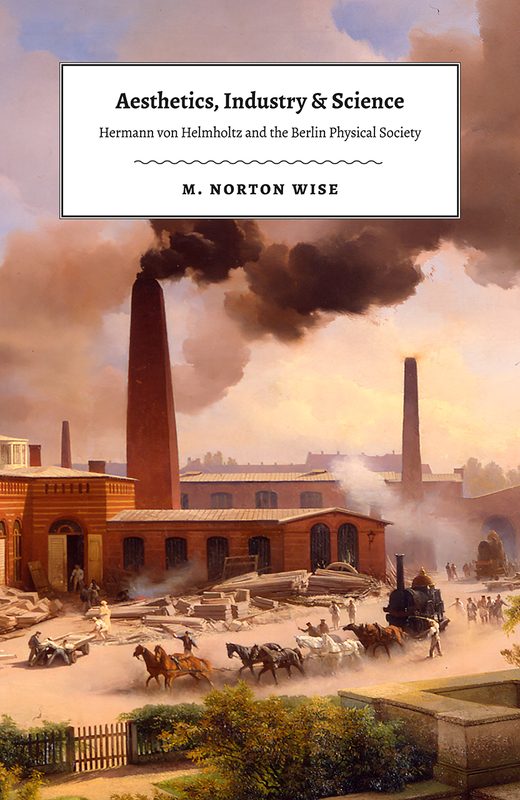 In what amounts to a historical ethnography of mid-19th century Berlin, Wise deftly decodes paintings, architectural forms, physics diagrams, and scientific instruments to reveal the dense connections among classicists, painters, physicists, philosophers, and engineers and their shared sense of the city’s future. Classicism and idealism laid the groundwork for a new civic culture of disciplined freedom and Bildung, transforming the Prussian capitol’s streets, façades, and museums, while providing conditions for scientific and technical achievements in steam, electricity, and engineering that culminated in Hermann von Helmholtz’s definitive work in thermodynamics. Tracing the curves between scattered points, identifying shared motive forces, and tuning in to profound resonances, this book is a tremendous achievement by one of the great historians of science; with both broad vision and minute precision, it demonstrates the inseparability of political programs, aesthetics, experiment, and Technik in the making of modernity."